As many of you will know, I have a deep love and passion for the wines of Spain. Taken as a whole I think Spain is one of the most exciting wine producing countries in the world. 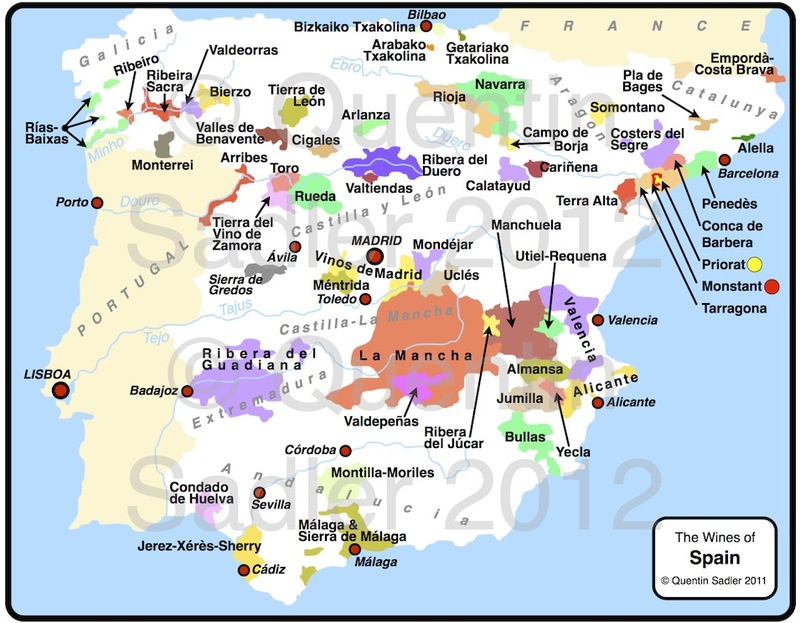 Of course the most famous region – other than Sherry – is Rioja. I like Rioja, I admire Rioja. 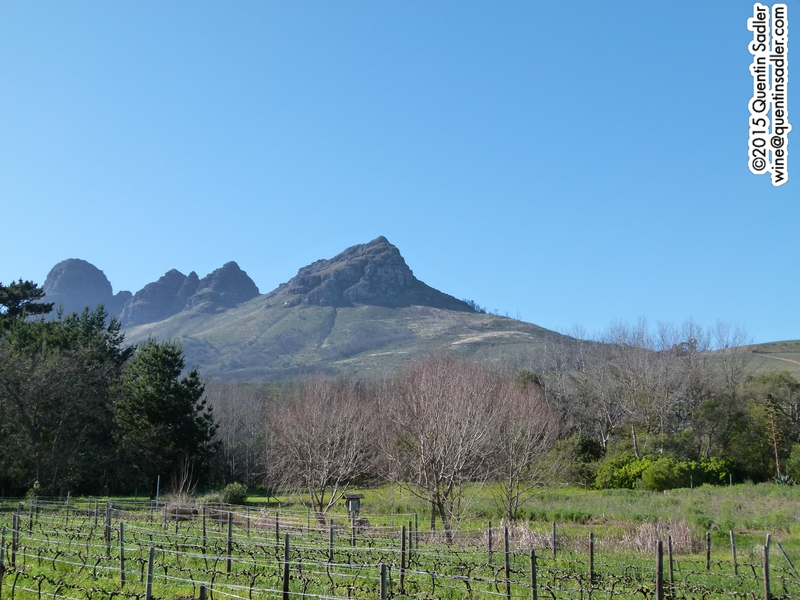 It is a wonderful region, a lovely place and it produces many fabulous wines, I have written about it often. However, there is much more to Spain than just Rioja and it pains me greatly that so relatively few wines from other regions of Spain are widely available to UK consumers. Although I will carry on writing about anything and everything that I find interesting in the world of wine, I thought that every now and again I would share some thoughts about Spain’s wine regions with you. Recently I have been tasting quite a few wines from Ribera del Duero, which have reminded me just how good a region it is, so I decided to start there. As you can see from my map, Ribera del Duero is in Castilla y León, or Old Spain. In many ways this region to the north west of Madrid is the original heart of Spain, the original home of those that ‘reconquered’ the peninsula from the Moors. Of course it is also home to the language that we usually call Spanish, but is more properly called Castellano or Castilian. The Duero River – it becomes the Douro in Portugal – cuts through the region and gives the place its name, bank of the Duero. 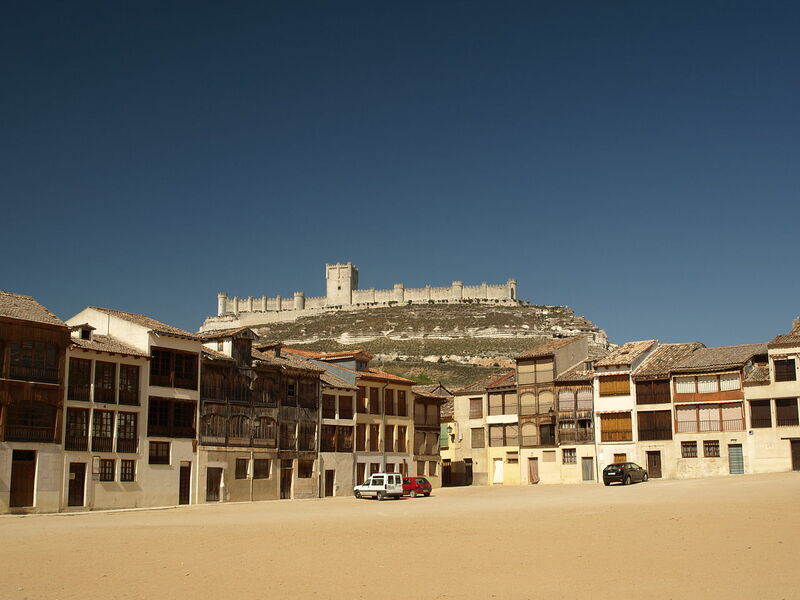 For centuries this was border country and was defended by castles which are a common sight to this day and explains why it is called the land of castles – Castilla. There are records from about 800 of the Moors calling it Al-Qila, or ‘the castled’ high plains. As far as wine is concerned, for millennia there must have been wine made here, as there was all over the peninsula, but it must have been fairly rudimentary and just for drinking rather than thinking about. It was not until Don Eloy Lecanda y Chave returned to his native Castilla y León from Bordeaux, where he had been trained as winemaker. His family owned an estate near Valbuena de Duero, about as far west as you can go on my map and still be in Ribera del Duero, and he returned brimming with ideas of how to transform the wines. He brought French grape varieties, oak barrels and modern French know how and set about creating wines on the Médoc model. He called his wine Vega Sicilia and it remains one of the finest, most expensive and sought after of all Spanish wines. Rioja was being developed in a similar way at the same time and this article about the history of Rioja might help. For decades Vega Sicilia was all on its own as the sole fine wine of the region and it was not until the twentieth century that others saw the potential for quality wine here. Firstly the Protos cooperative in Penafiel was created in 1927, but it was not really until the 1980s that the Ribera del Duero revolution took place, with new vineyards being planted and wineries built. Penafiel Castle dominates the wine making town. What happened was that modern knowhow had allowed these new pioneers – chef amongst them Alejandro Fernandez of Pesquera – to craft wines that were quite different from Vega Sicilia. More modern, with less oak ageing, more ripe fruit characters and more focus on the the local grape instead of the French varieties. That grape is a clone of Tempranillo – the grape that made Rioja famous – but in Ribera del Duero it is traditionally called either Tinto del Pais (country red) or more fancifully Tinto Fino. The wines – and the Denominación de Origen (D.O.) /Protected Designation of Origin (P.D.O.) only allows reds and rosés – have to contain at least 75% Tinto Fino with the remainder being Cabernet Sauvignon, Merlot, Malbec, Garnacha or even the excellent local white Albillo grape. The climate is one of extremes, with hot, short, summers and pretty hard winters. Basically the place is a high plain and the vineyards sit at around 750 to 800 metres above sea level. The cooling benefits of this altitude are very useful with summer temperatures often reaching over 40˚C. Then there are really big night time drops in temperature, often as much as 20˚C. This Diurnal Temperature Variation allows the vine to rest overnight and preserves acidity and freshness in the grapes, which can make the finished wine more elegant and fine. It also slows down the ripening process, so you have a better chance of producing balanced ripe grapes, rather than overly ripe, alcoholic, raisin-like grapes. Historically these cool conditions made ripening the grapes very hard indeed and would have produced pretty thin wines. So in the main it had to wait for modern viticulture and winemaking knowledge and techniques for the region to reliably produce wines that could take their place on the world market. Vega Sicilia is a style and type of wine on its own and has very little in common with most of the red wines of the region – much like Château Musar being quite different from the rest of the wines of Lebanon. What I like about the region’s wines is how unlike Rioja they are. They may technically be made from Tempranillo, but they never have that dry, savoury tinge that is the hallmark of Rioja to me. No, a good, Ribera del Duero should display concentrated, dark fruits. They should be vivid and rich, with sometimes an almost new world softness to them. However, running through them there should be a backbone of acidity – but not to Sangiovese or Nebbiolo levels – that makes them excellent with the rich, fatty meat dishes that are normal in these parts. There are a great many wines from Ribera del Duero available. Some are great, many are good and a few even disappoint, but I think there is a great deal of pleasure to be had from this exciting region’s wines. Technically they use the same labelling system as Rioja; Reservas are aged for at least 12 months in barrel, Gran Reservas are aged for at leat 12 months in oak barrels and a further 2 years in bottle, while wines that do not mention either of those terms are considered to be joven / young wines and would have either no oak ageing, or less that a year. Here are a few of my favourites from the region, so are very affordable, while others are more expensive, but I think they all offer value for money. This is the entry level wine from Bodegas Emilio Moro which is one of the very best producers in the region and I think the pedigree really shows. It is relatively light and fresh, but the fruit is nice and ripe, the tannins are smooth and there is a little vanilla and spice from 4 months in oak. 88/100 points. Majestic – £8.99 as part of mixed half dozen. I really like this estate, they make deliciously drinkable, velvety smooth wines that are always enjoyable. This is the baby of the range, but no less enjoyable for that. This 100% Tinto Fino wine is aged in American oak barrels for 3 months and has big, soft ripe fruit, some spice and smooth tannins. 89/100 points. I only discovered this producer recently, but was really impressed with this, their entry level wine. Aged for 6 months in new French oak, this vividly deep purple wine is big, chunky and richly fruity and has silky tannins. 90/100 points. Vinceremos, Vintage Roots, Organic Wine Club & Abel & Cole. The Valdubon Estate really do make some lovely, polished wines and this is a deliciously straightforward example with loads of fruit, smooth tannins, creamy ripeness and a light lick of rather nice mocha tinged oak – it is aged for 4 months and Roblé, meaning oak, is an unofficial category that is used to make it clear that it has some oak ageing. 90/100 points. One of my favourite producers, this artisan estate (Pago means estate) never fails to excite me. This Roble wine spends 5 months in French oak and is juicy and sumptuous, yet smooth. The tannins are nicely integrated as is the oak. The fruit is rich and concentrated, but a little glimmer of red fruit makes the wine fresh and elegant. 92/100 points. Yes, I could not resist another wine from this great producer – they have many more too, but you get the picture. This full bodied red spends a year in French and American oak and you have the coconut and the spices to show for it. It is plush and rich with deep black cherry fruit, chewy tannins and some mocha and dark chocolate too. 91/100 points. Majestic – £14.99 as part of mixed half dozen. This second label from the great Pesquera estate is 100% Tinto Fino aged for 18 months in American oak and it is always something of a blockbuster, full-bodied with big, bold fruit and something of a Napa Valley style. There is some freshness though and and elegance too. 90/100 points. Further up the range from Pesquera, you really begin to see why wines from this estate put the region on the map in the 1980s and were frequently compared to the wines Pomerol by wine critics of the time. I still think it is more Pomerol meets Napa, but either way this is a plush, concentrated, hedonistic wine, full of deep ripe, almost creamy fruit, smooth tannins and seductive milk chocolate. 18 months in oak has given it some vanilla, cedar and mocha notes. 92/100 points. This 100% Tinto Fino wine is aged for 18 months in French oak and is even more opulent, concentrated and delicious than the Roble. It’s a little young, but nothing decanting a few hours in advance won’t solve – or you could age it for a few years. 92/100 points. Another producer that I really admire. This is Tinto Fino aged for 12 months in French oak and blended with little dollops of Cabernet Sauvignon and Merlot. The extra maturity shows in the nose as it offers rich fruit together with smoky and balsamic notes. The palate is still very lively and has lots of dark fruit together with something nutty and seductively savoury. 93/100 points. Good though their Roble and Crianza wines are, this Reserva is on a different level of richness and concentration, but elegance too. It is aged for 18 months in new French oak barrels and that riches shows with cedar, spice and mocha, while the fruit is dense and plush. The tannins still offer a little bite, but nothing too astringent. 93/100 points. This is often described as the ‘second wine’ of Vega Sicilia – the ‘grand vin’ is called Unico – but I think it is really just a different wine. For a start it is 100% Tinto Fino, whereas Unico is a blend, and secondly it is only aged in oak for 3 years – and then a further 2 in bottle before being released in its 5th year – hence 5˚. This is a brilliant wine from a fabulous vintage, it is complex, fine and perfumed too. There is a lot going on and the tannins are just beginning to be silky, serve it with lamb. 95/100 points. As you can see, there are is a great variation in price, but all these wines are very good examples at their different levels. I am absolutely certain that any serious red wine drinker would enjoy these wines, indeed I could have included a few more, but I had to stop somewhere! So the next time you are choosing a red to go with that special dinner, give one of these a go.I am sure it will be just the thing. The dramatic vineyards of Gattinara. When a wine lover thinks of Piemonte, or Piedmont, then the chances are that their very next thought is of Barolo. This small area of wine production south of Turin is capable of producing sublime red wines from the local Nebbiolo grape. They come at a price though. Barolo can be very expensive indeed and even the everyday examples are approaching £20 a bottle nowadays. That being said, those basic examples of Barolo are now generally much better than they used to be some ten or fifteen years ago. Nearby the wines of Barbaresco, also made from Nebbiolo, can also be wonderful, and often much more charming than Barolo, but are often also very highly priced – and prized. A glance at my map will show you the geography of Piemonte. Turin sits in an ampitheatre surrounded by the Alps that mark the frontiers to the south, west and north and so the flatter south eastern part of Piemonte is historically the most productive. Together the Langhe, where you will find Barolo and Barbaresco among other wines, and Monferrato, where many wines including Asti are produced, account for over 90% of Piemonte’s wine production. It wasn’t always like that though. 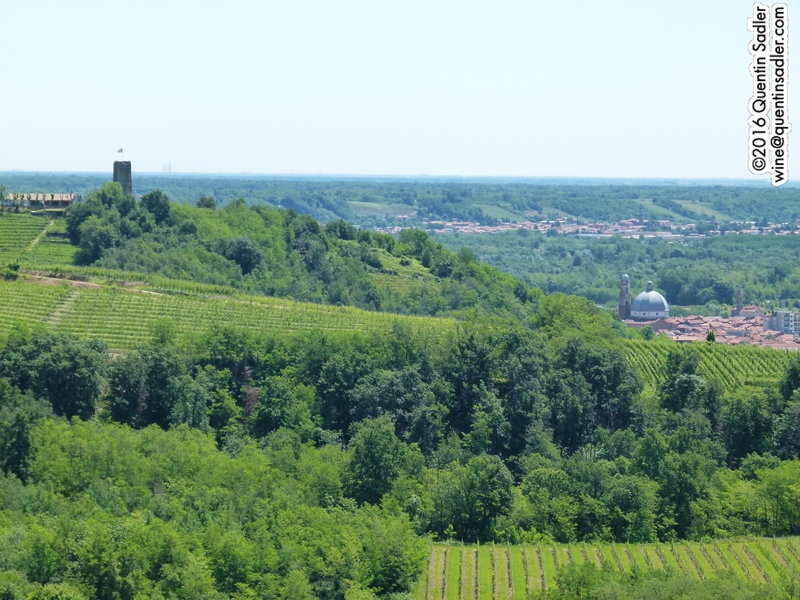 The wine growing areas on Piemonte’s northern fringes, Alto Piemonte, were once very imporatnt. Many have long and noble histories that predate Barolo by several centuries, and could possibly be famous again. 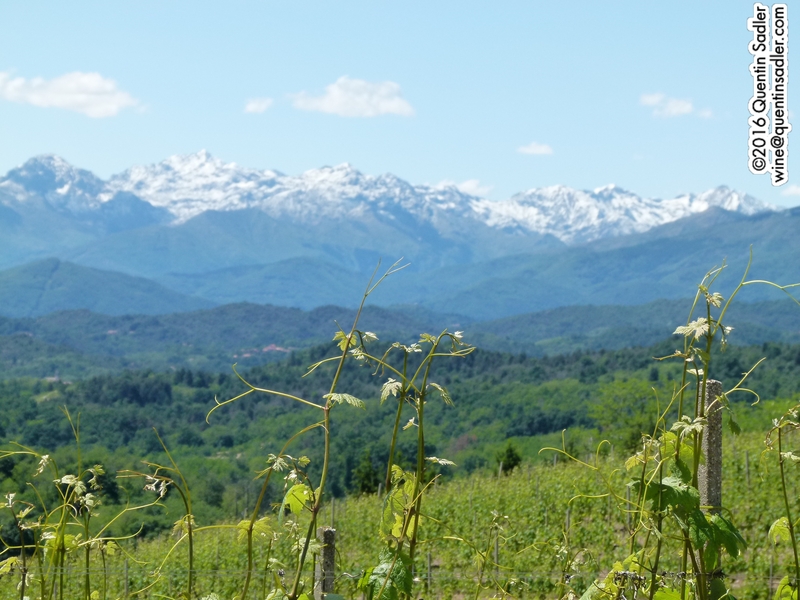 I have recently returned from a fascinating trip to Piemonte, one that focussed solely on these more northerly and less well known wine areas. Not for us the well worn path to Barolo and Barbaresco and the rolling Langhe Hills. 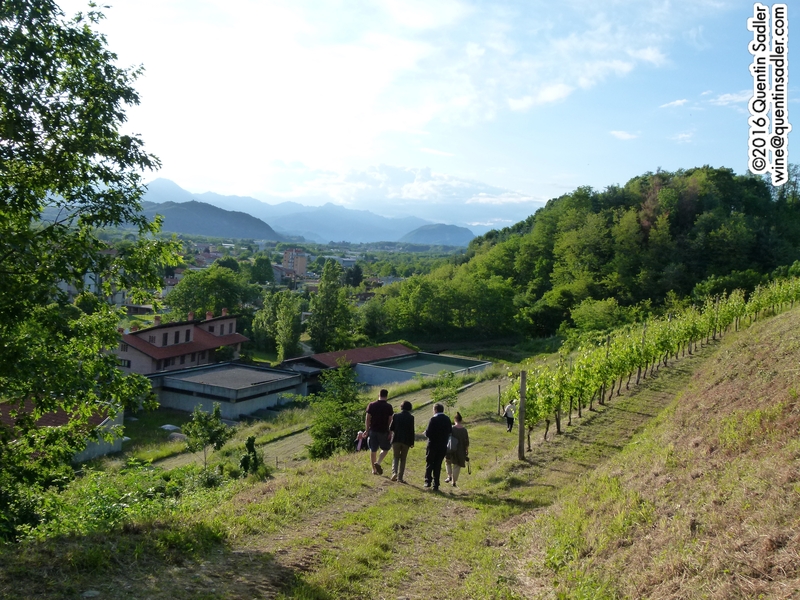 No, our little group of wine writers was whisked north of Turin to the very foot of the Alps. Here, over the course of several days, we visited vineyards and sampled the wines from twelve wine producing areas, only two of which were known to me beforehand. I even tasted a grape variety that I had never, ever heard of before – which is always an exciting experience. Many different grape varieties are grown in Piemonte, but for the really famous reds, it is Nebbiolo that is considered to be the true aristocrat. Indeed together with Sangiovese it is traditionally regarded as one of the noble black grapes of Italy. The grape gets its name from the thick fogs – called Nebbia – that descend from the mountains in the late Autumn, just before harvest, and so causing ripening problems for this famously late ripening grape variety. The beautiful views from Gattinara. Further north Nebbiolo is also widely grown, but in the past they often called the grape Spanna up there. Although it is Nebbiolo, it is a different clone of the grape and so gives subtly different results, a bit like Tempranillo and Tinto Fino. I remember seeing Spanna on wine labels in my very early days, but as far as I can see true Nebbiolo has either taken over in the areas where Spanna once ruled supreme, or is just treated as though it and Nebbiolo are completely the same. Certainly – again much as with Tinto Fino and Tempranillo – some growers told me that Spanna and Nebbiolo are identical, just different names for the same thing, while others were certain they were different. Whatever the case, I am sure that Nebbiolo is easier to sell than Spanna, just as Malbec is easier to sell than Cot and Tempranillo than Tino Fino. Centuries ago this area was much more important than it is now, with the wines enjoying more fame than those of southern Piemonte, but all sorts of things changed that. Phyloxerra devestated the vineyards and it is much harder to replant high up than on the low rolling hills of Langhe. It is also much harder to scratch a living in more dramatic terrain, where transport costs are high, so many people left the land. Some emigtrated to the United States or Argentina, while others just went as far as Turin or Milan to seek work. After the depression and two world wars even those who had stayed were tempted to get steady jobs in the local post war textile industry that boomed for several decades . The consequence of all this is that the wine revolution passed the place by and so they couldn’t pull out of the downward spiral of decline that had gripped the place since the 1930s. The richer Langhe region had more money to invest in vineyards and wineries, so as the post World War II modern wine revolution bit, those wines were perceived to be finer, richer, rounder and fruitier. More professional viticulture and hygeneic winemaking was completely normal in the south, but took far longer to reach the more impoverished north. This was all new territory to me and it was tremendously exciting. 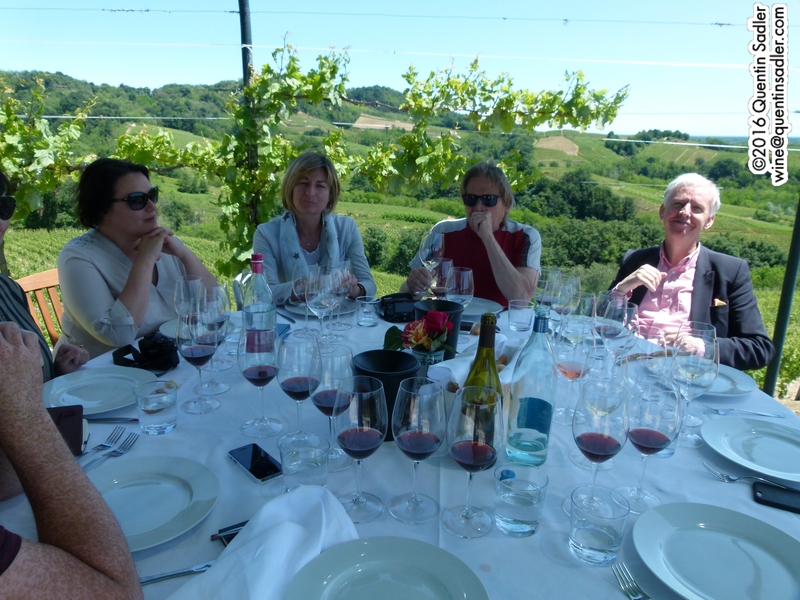 We visited three districts, with Piemonte being the region. These districts had PDOs and also contained village level appellations – Crus in the same sense that Fleurie is a Cru of Beaujolais and Pouilly-Fuissé a Cru of Mâcon. The Italians producers themselves seem to only use the word Cru in the specific vineyard sense, as in the Grand Crus of Alsace. 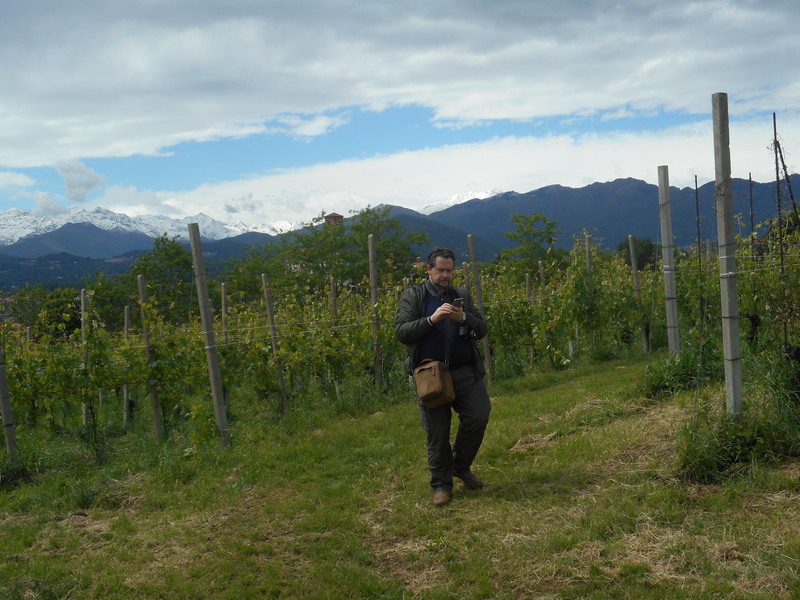 Your author making notes amongst the vines at Tenute Sella. Our first visits were to the Coste delle Sesia. 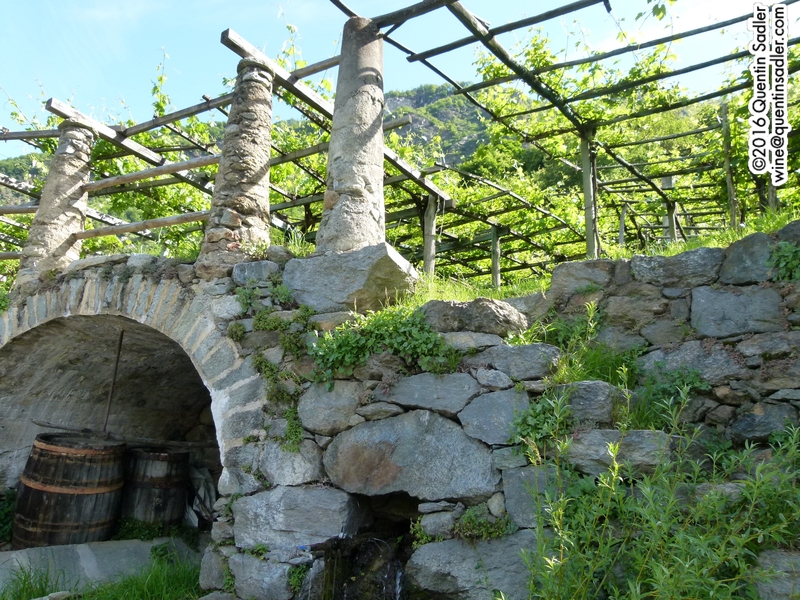 This DOC – or PDO – covers vineyards near the River Sesia in the Provinces of Vercelli and Biella. One white can be made from Erbaluce, a new grape for me, but from what I saw it was the reds that rule supreme here and these must contain at least 50% of Nebbiolo, Bonarda (Uva Rara), Vespolina, Croatina or Barbera. I tasted a few excellent wines from this appellation, but the real excitement came from the examples that had a grape variety on the label too. I was very impressed by some of the Coste della Sesia Nebbiolo as well as the few examples of the deliciously spicy Coste della Sesia Vespolina that we got to try. As far as I can see, Vespolina is a very appealing grape that only grows arpound here and a little over the border in Lombardy. Recommended producers: Tenute Sella, especially their Orbello red and Majoli rosé. Pietro Cassina, especially his delicious Coste della Sesia Vespolina. 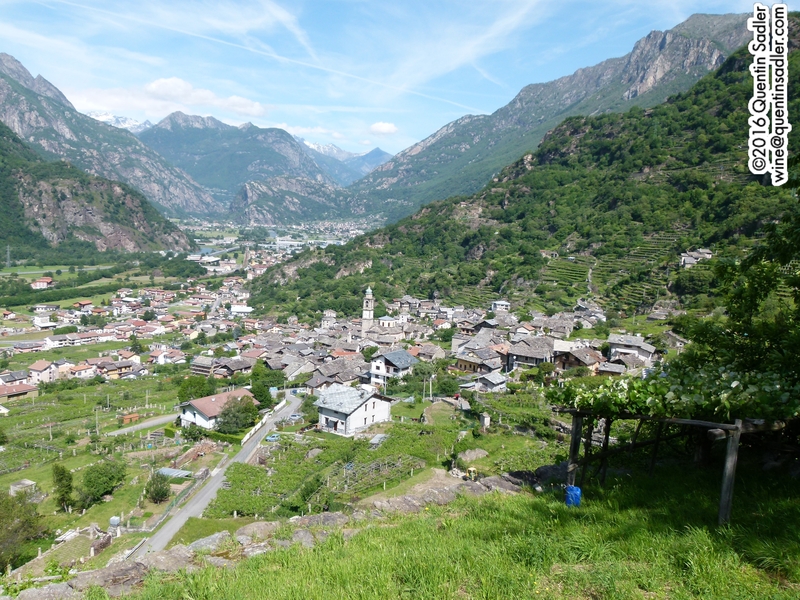 Wholly contained within the Costa delle Sesia are three commune – or village – appellations, Cru if you like. Many of these had a very hard twentieth century and are desperately trying to come back from that near death experience. A mixture of Phyloxerra, follwed by mass migration to America and Argentina, wars, depressions and then the rise of the local textile industry – it was relief for the locals to earn a steady wage working in the textle factories after so much instability, so they lefy the land in droves – all took a toll and nearly killed off wine producing in these parts. Climate wise the area benefits from being south facing, so good sun exposure and having a long growing season, just what Nebbiolo needs. There are also big night time temperature drops which helps retain acidity and finesse in the grapes, as does the cool air that descends from the Alps, tempering the summer heat. The beautiful vineyards at Tenute Sella. Lessona DOC is a tiny PDO which only makes red wines and as far as I can see deserves to be better known. Fundamentally they are made from Nebbiolo – 85% minimum, but a little Vespolina and the wonderfully named Uva Rara is permitted. The wines must be aged before release for a minimum of 22 months, 12 in wood, usually big old 3000 litre wooden foudres or botti rather than barriques. 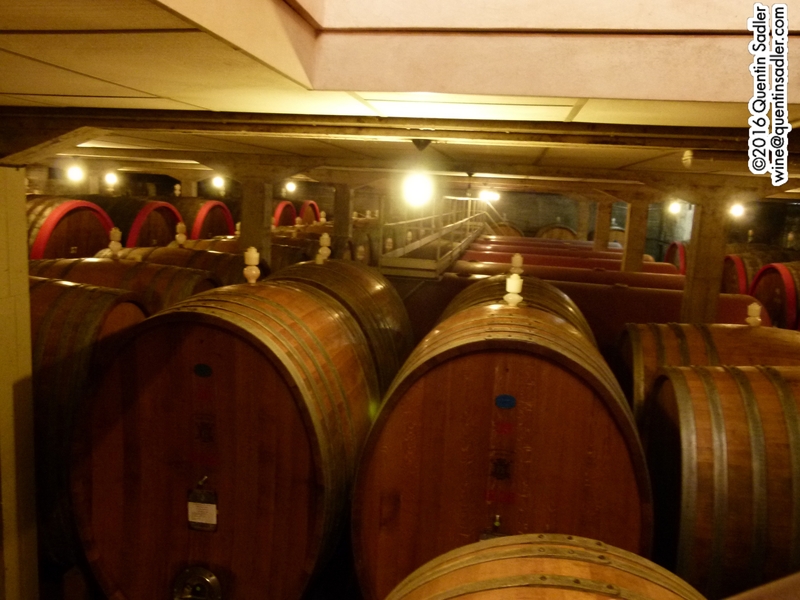 Riserva wines are aged for at least 46 months, 30 of which are in wood. Once upon a time the area had hundreds of hectares under vine. Now most of those have returned to forest and by the mid 1990s there were only 6.5 hectares of grapes left, but a modest rennaisence is underway and there are now somewhere around 23 hectares with a few new producers just getting started as well, which bodes well for the future. Recommended producers: Tenute Sella, this producer’s top wines are all from this PDO. With a history going back to 1671, Sella has long been the commune’s beating heart and the wines are very impressive. Pietro Cassina is a new producer, but his previous profession as an architect seems to have given him an eye for detail that ensures his wines are very good indeed. La Badina, especially their Lessona Riserva 2010. Massimo Clerico, my new favourite drinking buddy makes very good wines that age pretty well – his 2005 is perfectly mature. Proprietà Sperino, an exciting producer created by Paolo De Marchi whose father founded the Isole & Olena estate in Chianti Classico. Bramatera DOC is another miniscule PDO that makes good Nebbiolo – or Spanna – wines. Again they are oftem blends with a maximum of 30% Croatina, 20% Uva Rara and / or Vespolina. 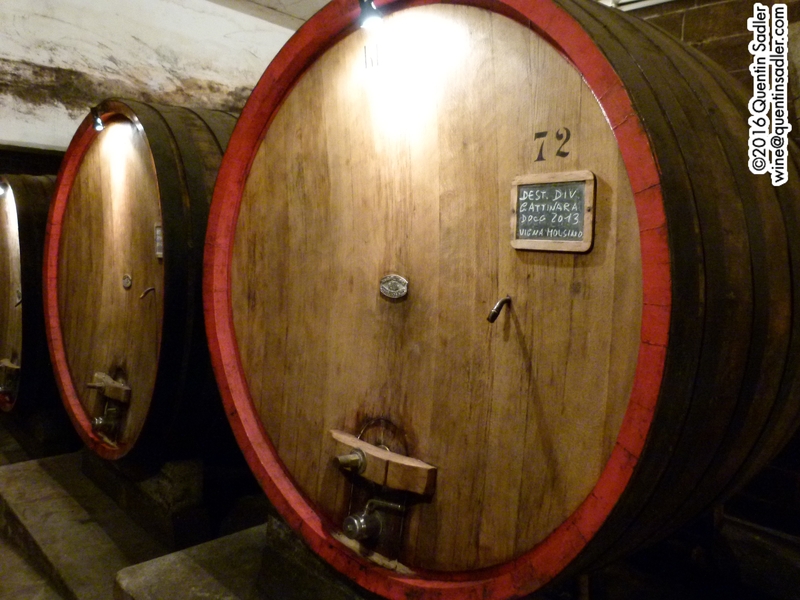 The wines must be aged for a minimum of 22 months, 18 in wood, again normally foudres or botti rather than barriques. Riservas are aged for at least 34 months, 24 of which are in wood. Recommended producers: Tenute Sella, I know it’s repetitive, but they make very good wines and have vineyards in three different PDO areas. Looking down on gattinara from the vineyards. Gattinara DOCG is perhaps the most famous of all the PDOs in the northern part of Piemonte. Once upon a time it was more highly praised than Barolo. Indeed it was famous before Barolo had even decided to make the wines as we know them today. I saw old photographs which showed the hills to the north of Gattinara town to be completely covered in vineyards. This was only in 1906 – just four years before my aunt was born – but today just 60 hectares remain. 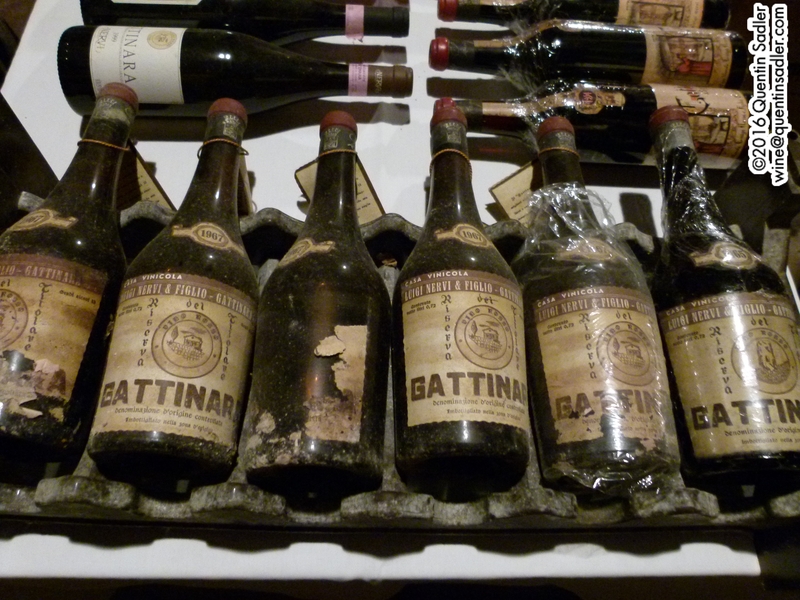 Old vintages in the cellar at Nervi – my birth year is far right and no, despite many hints they didn’t open one. In Gattinara it’s normal, and traditional, to soften the potentially hard edged Nebbiolo – or Spanna – with up to 10% Uva Rara and 4% Vespolina. The wines have to be aged for at least 35 months, 24 of which are in wood. Riserva wines receive at least 47 months, of which 35 are in wood and sometimes a proprtion are aged in barrique – 225 litre barrels. Like a good few of the PDOs around here, Gattinara has some volcanic soils in the mix which can often boost acidity and produce elegant wines. Our little group hard at work. From what I experienced, the quality here is very high. I was hugely impressed by the wines that I tasted, they had real class, elegance, finesse, whatever you want to call it, but they were very good wines indeed. Looking towards Gattinara from Nervi’s vineyards. 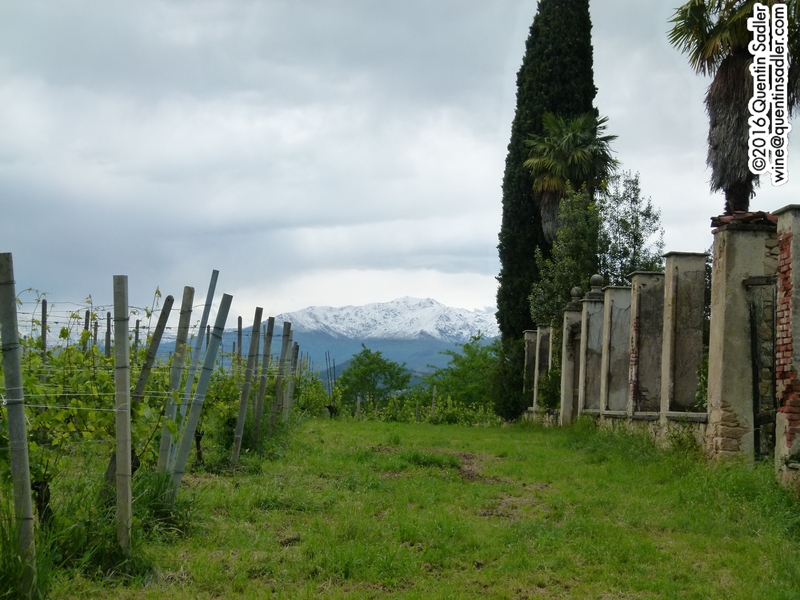 Recommended producers: Nervi, the oldest producer in the area is now under new ownership and appears to be in fine fettle. I loved their wines, which seemed to have the merest touch of modernity to them. The whole range was first rate including their standard Gattinara, but the Valferana and Molsino Cru wines from specific vineyard sites were maginificent – only a tiny proportion of the very best parcels of the Crus are bottled seperately, the rest is blended in to their Gattinara. I also greatly enjoyed their traditional method pink sparkling Nebbiolo called Jefferson 1787 and really regret not buying a bottle now. It was particularly fascinating to taste the 2013 Molsino Cru from 4 different wooden vats, Austrian oak, Slavonian (Croatian) oak, Swiss oak and Vosges oak from Alsace. The same wine went into the 3000 litre wooden vats, but 4 entirely different wines came out, which got me seriously wondering about terroir! For me the Slavonian oak was the clear winner, as it really tamed Nebbiolo’s firm tannins. Finally a decent sized bottle – being held by Cinzia Travaglini, the founder’s great grand-daughter. Big wooden barrels at Travaglini. 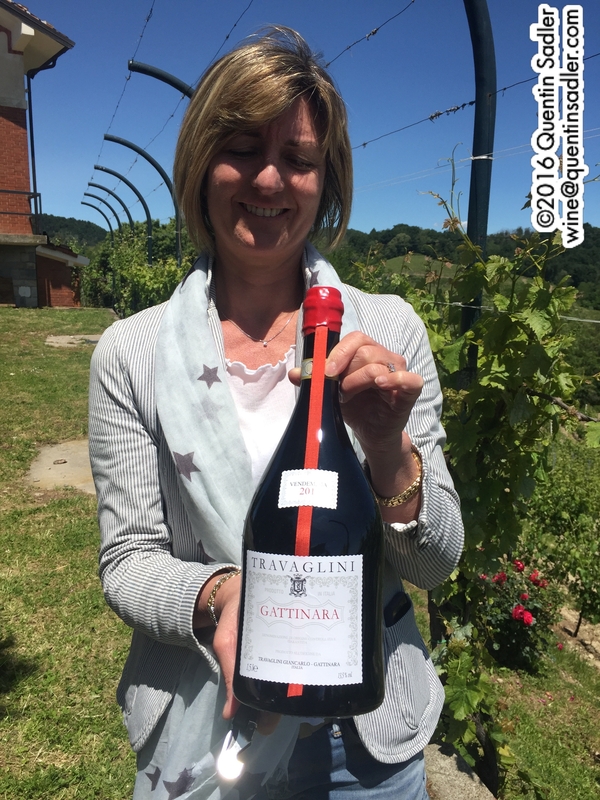 Travaglini is not quite as old as Nervi, it was founded in the 1920s, but is still run by the original family and appears to be more traditional and, I thought, sees itself as the keeper of the flame of Gattinara. Whether that is true or not, I loved their wines which are all produced from their own fruit grown on the slopes of Gattinara. Real passion came through into the glass and the whole range shone. The standard Gattinaras are very fine, while the Riserva really thrilled me. Travaglini chose not to bottle the Crus seperately, but to blend them all together as they believe that gives the best expression of the region. I also fell for their white sparkling Nebbiolo. Named Nebolé Brut, they have only made one vintage so far, but it was voted best sparkling in Italy last year by a Sommelier’s association – not a bad start. The wine was pure and mineral and fine and sadly we drank the last bottle. I would also recommend the salami they make that is flavoured with their Gattinara, it is delicious. East of the Sesia River is the Colline Novaresi – Hills of Novara – which does a similar job to the Coste delle Sesia in the west. Again the white wines must be 100% Erbaluce with the reds made from a minimum of 50% Nebbiolo, Barbera, Vespolina, Croatina or Bonarda. Recommended producers: Antichi Vigneti di Cantalupo, especially their Villa Horta Vespolina and Abate di Cluny. There are four commune PDOs here; Boca DOC, Sizzano DOC, Fara DOC and Ghemme DOCG. Sadly I only have experience of Ghemme, but the others are so tiny in terms of production that it would be very unusual to find them in the outside world, indeed, I didn’t even get to try them there! Our little group in Ghemme. Ghemme DOCG is yet another miniscule PDO of just 60-65 hectares. The wines must be at least 85% Nebbiolo – or Spanna – with up to 15% Uva Rara and / or Vespolina. The standard wine must be aged for at least 34 months, 18 in wood, while the Riservas must be aged for at least 46 months, with 24 in wood. 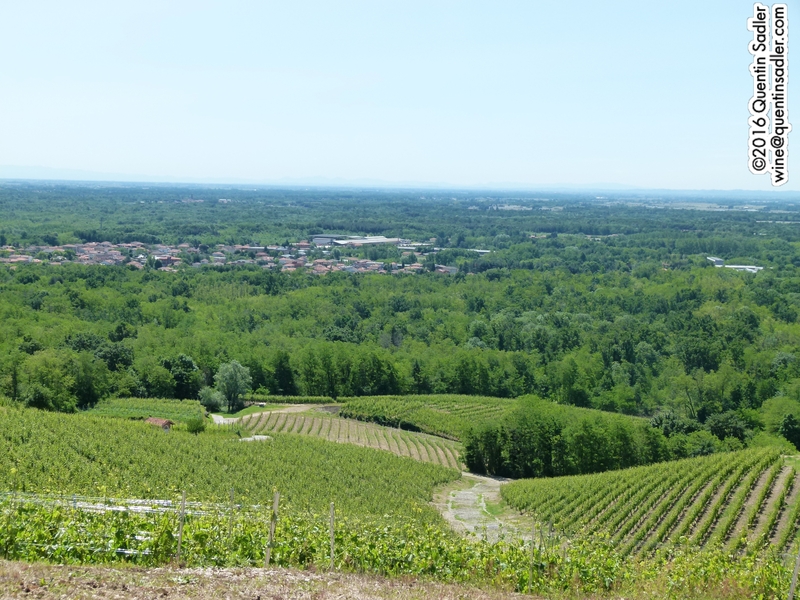 At around 400 metres above sea level, the vineyards are the highest on this side of the Sesia River, while the soils are very mixed, but are not volcanic, so the wines can feel a little fatter than in Gattinara. Recommended producers: Antichi Vigneti di Cantalupo, especially their Ghemme and Collis Breclemæ Cru Ghemme. Torraccia del Piantavigna, make a wide range of wines, but it their standard Ghemme that shone out for me, although their Gattinara was pretty good too. The beautiful little town of Carema, nestling amongst vine covered mountainsides. Our last Nebbiolo visit was to Carema, a place I had heard of and I had even tried the wines, but never visited before. It is an astonishing place, right on the border with the Valle d’Aosta, that tiny Italian region sandwiched between France and Switzerland. We are truly Alpine here, indeeed the landscape reminded me of Switzerland’s vineyards to some degree. Most of the vineyards in Carema are trained on Pergolas. This keeps the vine away from the damp, humid soil and ensures maximum sun exposure in this difficult landscape. It also allows for the precious land to be used for cultivating other crops or livestock. Tending the land under the Pergola in Carema. It only makes red wines in the DOC and they are made from pure Nebbiolo. Standard wines have to be aged for a minimum of 24 months before release, 12 of which are in very large oak or chestnut barrels, while Riservas have to be aged for at least 36 months, again 12 in wood. These times have been seriously reduced recently, which I suspect has done the wines no end of good. I found the oak to be well integrated and the tannins very well controlled. The place is extraordinary however you slice it. 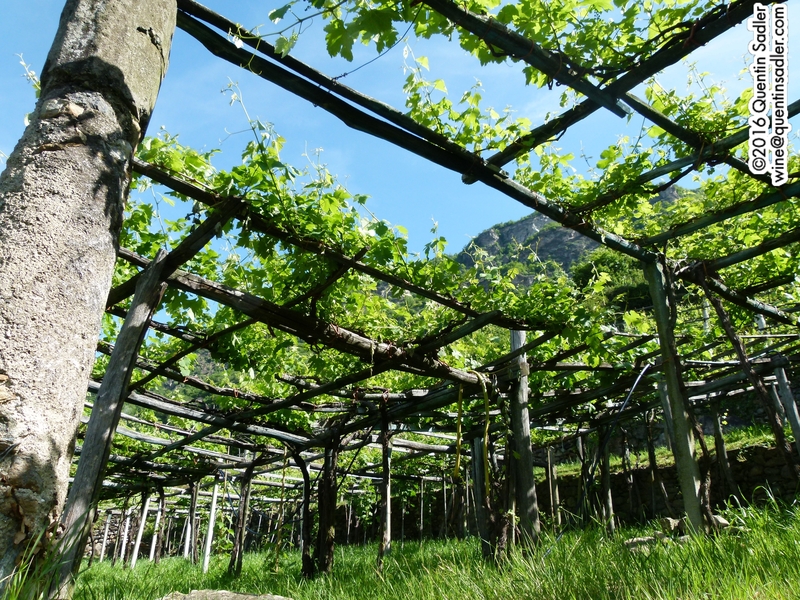 The vines grow at between 300 and 600 metres above sea level, making them amongst the highest in Europe. There are only 16 hectares grown – roughly 32 acres – and bear in mind that in my mid 1990s copy of The Oxford Companion to Wine, Jancis Robinson MW states that there were then 60 hectares, then a lot have been lost very recently. What’s more, 14 of those 16 hectares are controlled by the excellent local cooperative, Cantina dei Produttori Nebbiolo di Carema, which has 78 members, so each holding is miniscule as well as being almost perpendicular. The only other producer – yes only two companies make this wine – is Ferrando Vini. 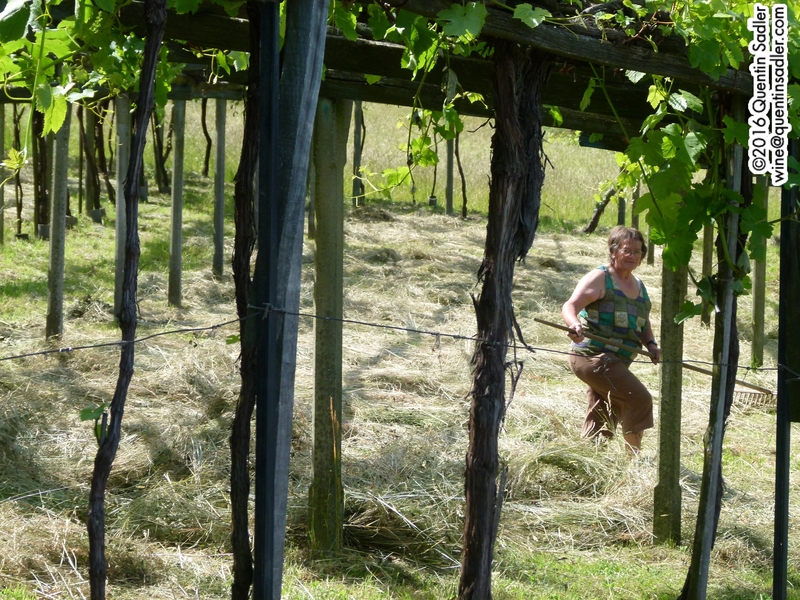 In the past there were many more vineyards, but such back breaking work doesn’t appeal to younger generations, and hasn’t for decades, so people have left the area for an easier lifestyle. However I am willing to bet that the wines have never been better. I tasted the co-op’s Carema Classico, black label and their Riserva, white label, and I was seriously impressed. The wines were lighter perhaps than the other Nebbiolo wines that I tasted on the trip, but they were at least as complex as the Gattinaras and had great concentration of fruit as well as silky tannins. Like the wonderful wines of from Etna DOC in Sicily, I believe these are worthy of DOCG status. All in all it was an excellent trip and really fascinating to discover a part of this hidden corner of Italy. The quality of the wines was very high and the passion and commitment of the producers was very clear. They struggle though, as they don’t have the simple clear message of success that their colleagues in the Langhe enjoy. In many ways, with the possible exception of Gattinara – which has a little fame, they have no clear message to make their wines accessable to the outside world. We had a round table conference about this and I tried to help. 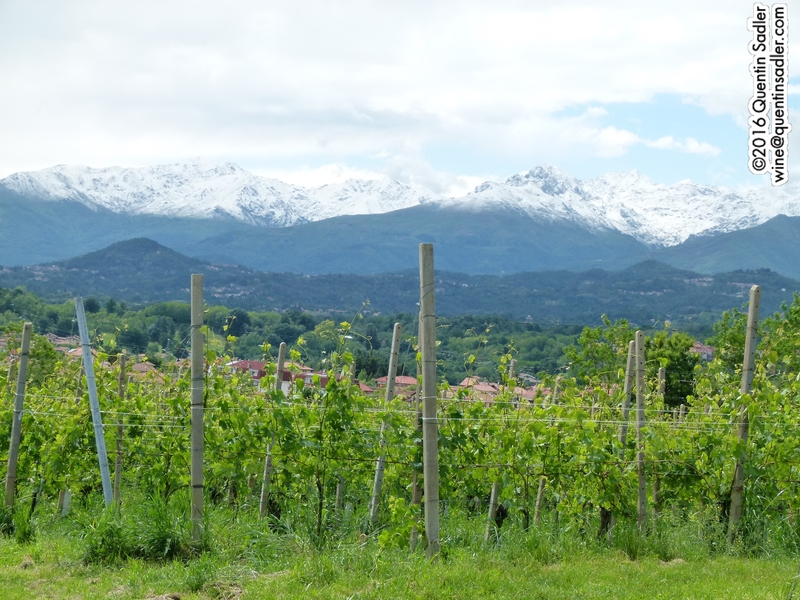 I came up with the phrase Alpine Piemonte, which I think does give a clear message, certainly more than Alto Piemonte. 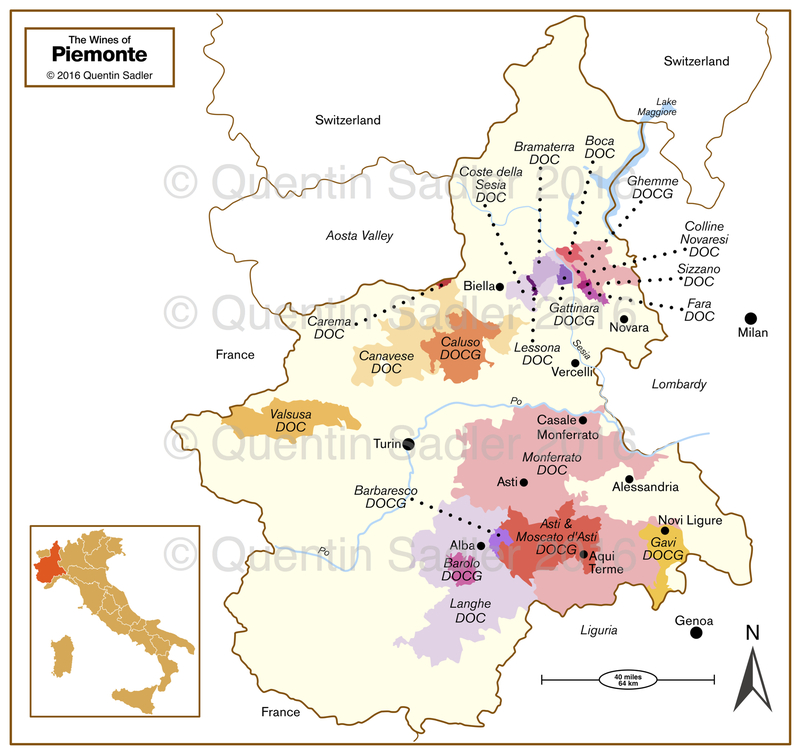 As long as you know what Piemonte is and know what Alpine is, then surely it’s clear? I would be willing to let them use the slogan for some fair renumeration, a holiday home in Carema perhaps? Anyway, I urge you to try the wines, I think you will be surprised and excited by their quality and often by the value they represent as well. We visited a few other wine districts too and tasted some really interesting white and sparkling wines that I will write about another day. Cantina dei Produttori Nebbiolo di Carema and Ferrando Vini are imported into the UK by Austrum Wines. Travaglini are imported into the UK by Austrum Wines. For Proprietà Sperino stockists click here. For Tenute Sella stockists click here. For Cantina dei Produttori Nebbiolo di Carema stockists click here. For Travaglini stockists click here. For Nervi stockists click here. Don’t only drink Sauvignon Blanc from New Zealand – there is so much more to enjoy. I don’t know what it is with me. Perhaps I have a low boredom threshold when it comes to wine, but I love variety. The very thing that makes wine exciting to me is the infinite variety available. Which seems to put me out of kilter with many wine drinkers here in the UK who would appear to only drink the same few wine styles all the time. If that is you, please, please branch out, experiment, try something new – what’s the worst that can happen? Which brings me to my theme – New Zealand. Please remember to click all the links. 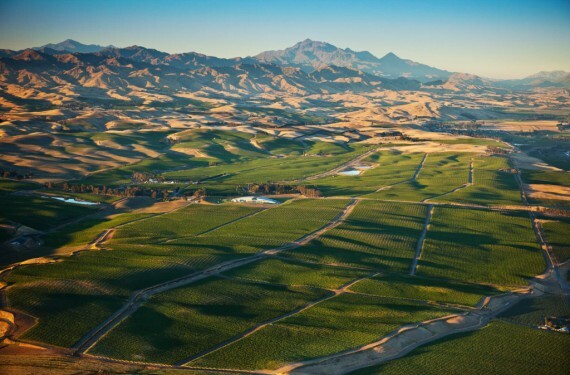 Marlborough vineyards – photo courtesy of Villa Maria. I have long admired New Zealand wines and well remember my first taste of a wine from that far off country and it excited me very much. It was 1984, I had recently joined the trade and the company I worked for introduced three extraordinary sounding new wines to the range, one wine each from Australia, New Zealand and Lebanon. They all seemed exotic beyond belief. You have to realise that the wine revolution had not yet happened and such things were not widely available. The Lebanese wine was Château Musar 1977, the Australian was Berri Estates South Australian Cabernet-Shiraz and the New Zealand wine was a Gewürztraminer made by an estate called Matawhero in the Gisborne region of North Island. I remember it as being really good and wish that I could still buy it over here. I had recently fallen for the charms of the Gewürztraminer grape and drank a lot of it at the time – I hardly ever do now as the examples from Alsace seem much sweeter nowadays. So my first taste of New Zealand wine would now be regarded as a slightly left field offering, but I did not realise that then. Sauvignon Blanc did exist in New Zealand in those days, but it was early days. There wasn’t very much and it was far from being the most popular or dominant grape. Indeed the now ubiquitous Kiwi ‘Sav’ (why do they miss the U out when they pronounce it?) would have been the oddity then. What’s more the Marlborough region barely produced any wine at all. It is the now largest wine region in the country and produces something like 60% of New Zealand wine, while around 60% of production is made from Sauvignon Blanc. Over the years I have seen New Zealand wines proliferate on this market and sweep all before them. Everyone now drinks New Zealand wine. Or New Zealand Sauvignon Blanc anyway. That is the dominant grape and most widely produced and consumed style. Which has bugged me for quite a long time. I like many Kiwi Sauvignon Blancs and can see the attraction, but I want other things too and so wish that wine drinkers would experiment with all the other lovely wines that New Zealand produces. Of course it would help if the major outlets got a little more creative and actually stocked some of the other exciting wines coming out of New Zealand. 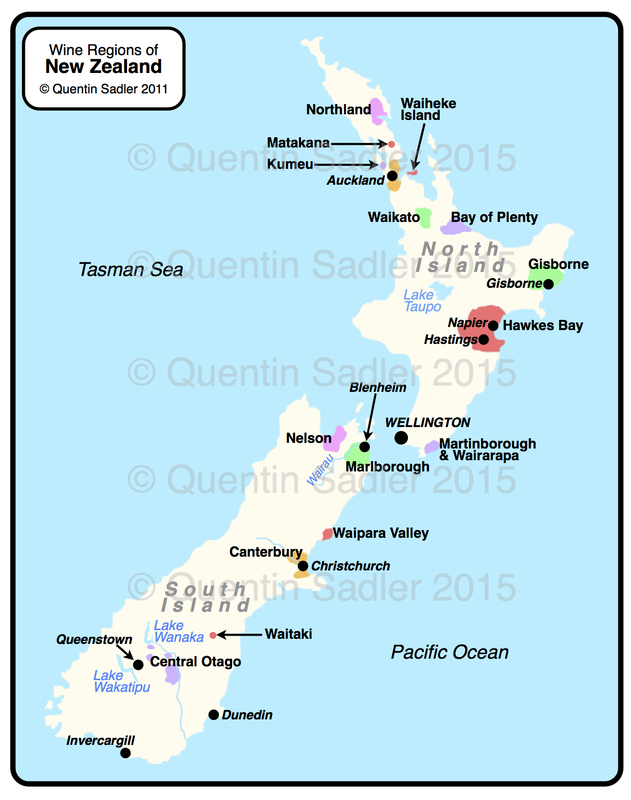 However, things are getting better, it’s slow, but a wider range of New Zealand wines is beginning to be available. To make my point I recently put on a tasting of the more unusual wines coming out of New Zealand at the moment. It wasn’t exhaustive by any means, but I managed to find some real variety and excellent wines that many people would enjoy. Collectively they are my Wines of the Week. New Zealand is a cool climate wine producing country and so the production is overwhelmingly white. Although there are some warmer places and Pinot Noir of course performs well in the cool conditions of South Island, it just isn’t hot enough to ripen black grapes to make red wines in most of the country. My line up of white wines was really good, they all showed well and had that classic Kiwi clean brightness to them that that I can only sum up as a feeling of purity. 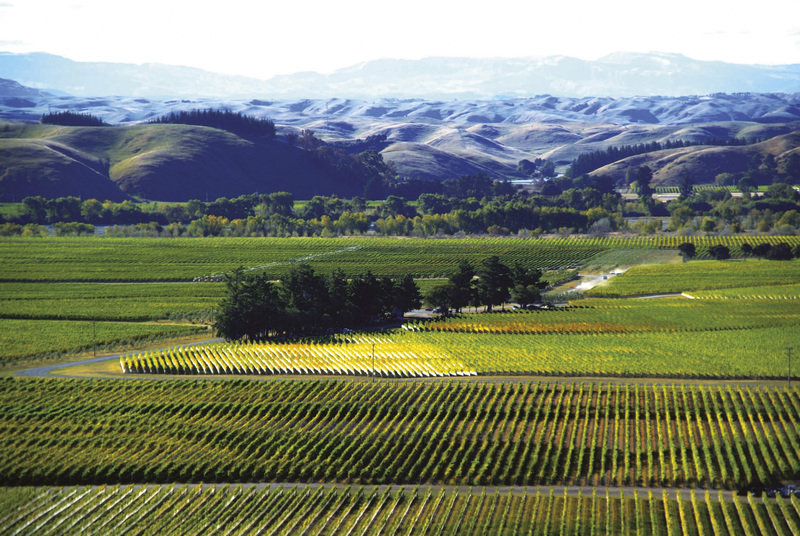 Vineyards in Gisborne – photo courtesy of Villa Maria. Albariño is a Spanish grape from the north western region of Galicia, where it is most famously used to make the often delicious wines of Rias Baixas. They are amongst the best Spanish white wines and are great with seafood. The grape is also grown over the border in Portugal, where it is known as Alvarinho. This is the second vintage of this wine that I have tasted and I have loved them both. Te Awa are a wonderful winery, who produce some terrific wines and created the Left Field label specifically for the less widely seen styles of wine. I am thrilled that Albariño might be breaking through as a popular and international grape variety – it certainly deserves to. The aromas are floral and scented with delicate, but ripe peach and zesty citrus aromas. The palate is bright, fresh and lively with mandarin and nectarine characters and a twist of lime on the finish. This is a light, fresh, crisp style that is really, really good and would be gorgeous with some seared scallops or just on its own. It feels pristine, bright and pure as a mountain stream, surely anyone who likes Sauvignon Blanc would appreciate this – 89/100 points. Available in the UK for around £12 per bottle from The Wine Reserve – for more stockists click here. 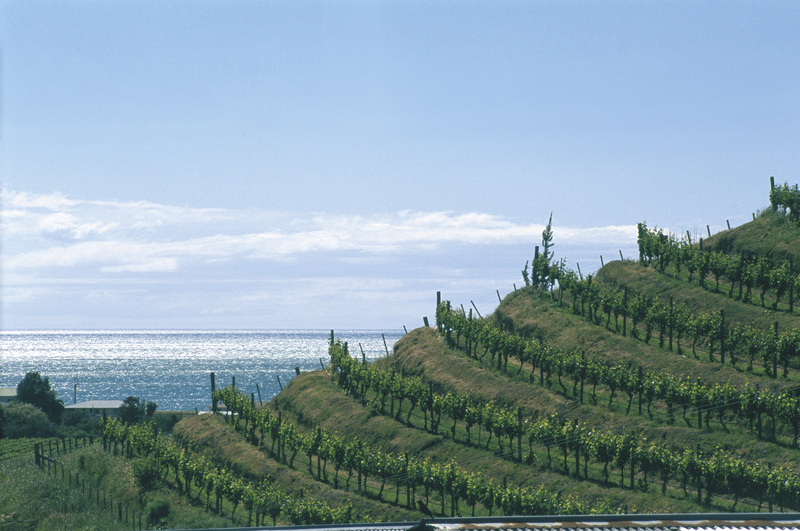 Yealand’s Seaview Vineyard – photo courtesy of Yealands estate. Yealands is an impressive producer and is the brainchild of the engaging Peter Yealand who in his time has farmed mussels and deer as well as wine. 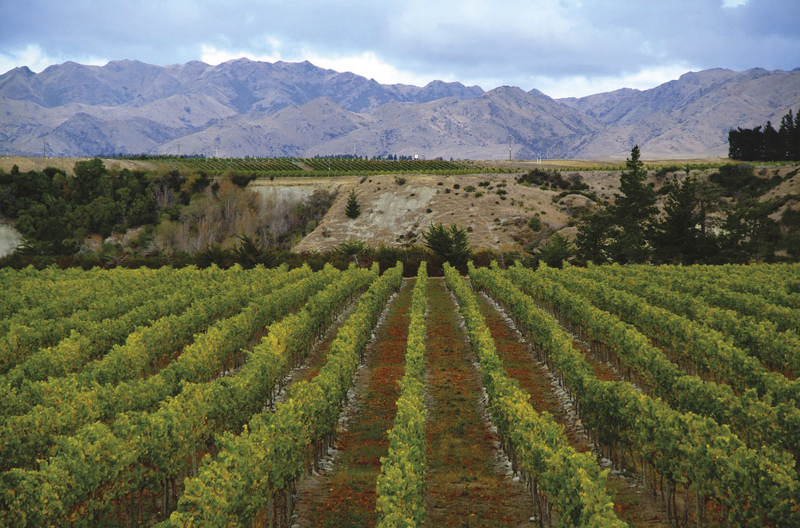 Most of their production is from a large single block of vines – the largest single parcel of vines in the county – in the Awatere Valley, the cool south eastern part of Marlborough. It is right by the sea and is called the Seaview Estate as it looks out over Cook Strait. Grüner Veltliner is the signature white grape of Austria, where it makes some tremendous wines. Much like Albariño, I get the feel that Grüner Veltliner might be on the cusp of breaking through as an international grape and again I think that is an excellent thing. 15% was fermented in second and third use French oak barrels and the wine spent 3 months on the lees with lees stirring to help the complexity and the texture. Another wine with a lovely aromatic nose that is delightfully floral and gently spicy with a dash of white pepper. Again that purity shines through and the palate is gorgeously silky and lightly textured, being gently creamy like coconut – presumably helped by the oak. There is plenty of discrete apricot like fruit too as well as refreshing citrus acidity giving plenty of zing. Again I cannot imagine anyone that likes Kiwi Sauvignon Blanc not enjoying this, but it is deliciously different – 89/100 points. Available in the UK for around £13 per bottle from Great Western Wine – for more stockists click here. Sauvignon Gris is thought to be either an ancestor of or a mutant clone of Sauvignon Blanc – for some reason it is not clear which came first, which reminds me of a joke – and makes fatter and less aromatic wines than its more famous relation. In France they are historically blended together to give more texture and richness than Sauvignon Blanc would have on its own. Personally I think Sauvignon Gris is potentially a very interesting grape and others clearly agree as there appears to be renewed interest with this ancient grape in Graves and parts of the Loire. Sauvignon Gris can sometimes be found blended into the finer examples of Sauvignon de Touraine and is something of a speciality grape of the tiny Touraine-Mesland sub-region. The grape has a long history in Touraine and it is often referred to there by its ancient local names of Fié or Fié Gris or even Sauvignon Rose, as the skins are pink. This wine is from Fletcher’s Vineyard which is in the famed Golden Mile, which is a strip of stony ground close to the Wairau River land in the sub-region of Rapaura. The nose is fresh and enticing with pear, delicately smoky peach and some mineral notes. The palate is by turns stony and mineral, pear-like and peachy with a rippled texture of occasional fleshy succulence, nectarine lingers on the finish together with blackcurrant leaf and some tropical passionfruit and mandarin too. There is a leesy texture here too giving a gentle smokiness and a lightly ‘mealy’ quality that is very attractive. It is dry with a freshness of acidity and little cut of citrus too, but acidity is much less dominant than in Sauvignon Blanc, indeed in many ways it is like a bigger, fatter Sauvignon Blanc. A lovely wine with real finesse and elegance that will go with almost any fish or lighter dish perfectly – 89/100 points. Available in the UK for around £14 per bottle from The Pip Stop and The New Zealand House of Wine. I am very fond of Verdelho as it is a lovely grape and I wonder why we don’t see it more often. Just to be clear, it is not the same as Verdejo or Verdicchio or any of the other similarly named varieties that people often assume are the same. It is actually the Madeira grape, but put to a very different use here. Some authorities think Verdelho might be a long lost clone of Riesling, but they say that about Albariño too. Esk Valley is a wonderful estate that is much more famous for producing some of New Zealand’s finest red wines, but they also make some marvellous whites, including some excellent Chenin Blanc and Riesling. Selected from two vineyards in Hawke’s Bay and was mainly cold fermented in tank, with some being fermented using the natural yeast in large – 600 litre – French oak casks. Delightfully aromatic and floral with a real zing of lime and a mineral edge together with a touch of oiliness. On the palate the texture marries beautifully with the freshness and the minerality. The oak just gives a dollop of cream and a bit of complexity, but never dominates, while some tropical fruit and citrus flavours of mandarin and lime make it utterly delicious – 89/100 points. The 2014 vintage is available in the UK for around £13 per bottle from The Oxford Wine Company and The New Zealand House of Wine – for more stockists click here. Being a cool climate country, New Zealand is nowhere near as famous for its reds as its whites and only a small proportion of the country’s production is red. Pinot Noir is by far the most dominant grape and is the main one used in South Island – by some margin. However, other grape varieties do get a look in and, just as with the whites, the number of grape varieties used is increasing and becoming more exciting. 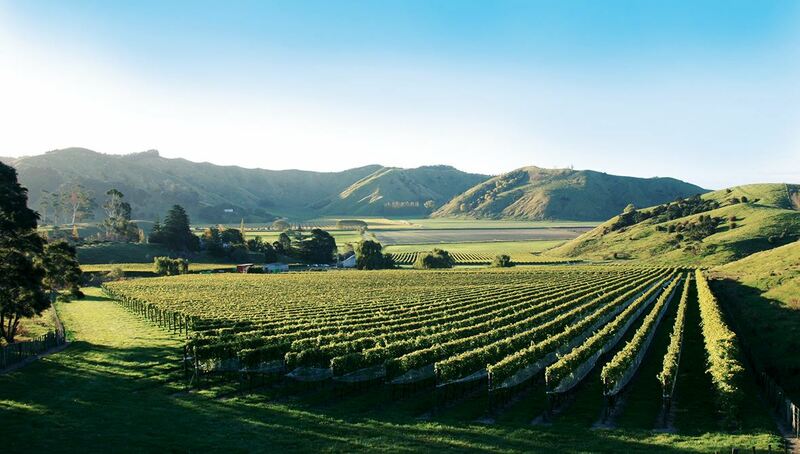 Hawkes Bay – or Hawke’s Bay – in North Island is home to the greatest concentration of red wine production in New Zealand – apart from Pinot Noir which is mainly from South Island. It is warmer here, with well drained soils, so it can produce some good concentrated red wines. The Gimblett Gravels is the most prestigious sub-zone and home to many of the country’s finest red wines. Traditionally it’s Merlot and Cabernet country, but Syrah is quickly becoming pretty mainstream, while Mediterranean grapes like Tempranillo, Montepulciano and even Grenache are beginning to get noticed. Vidal Estate vineyard in the Gimblett Gravels district – photo courtesy of Vidal Estate. Malbec has been used in some of the Cabernet-Merlot blends of Hawkes Bay for quite a number of years, just as it is used in Bordeaux, but often with a higher proportion. I have only once before had a single varietal Malbec from New Zealand though and that was in the 2003 vintage (I think) when Esk Valley made one because their Merlot and Cabernet were not up to the mark and so all they had left was Malbec. This version is completely unoaked. The colour was an extraordinary vivid, deep purple – you could paint with this. The nose gave off rich plum, blueberry and blackberry, together with rich cocoa and some pungent spice notes. The palate was fresh and juicy, with chunky rich fruit and a deep inky feel. There is liquorice and pepper together with black fruit and a dryness from the – artfully tamed – tannins that gives the wine a sappy, briar-like flavour. I love the upfront and juicy quality of this. It feels fresher and cooler than its Argentinian cousins and would go very nicely with a barbecue or a steak, I would enjoy it chilled too – 88/100 points. Available in the UK for around £17 per bottle from The New Zealand Cellar and The New Zealand House of Wine. Trinity Hill is a great producer – right up there with Craggy Range – that produces some of the best Syrah in the country, as well as many other great wines. One of the best ways to taste their wines in the UK is by visiting the excellent Bleeding Heart restaurant, which is part owned by John Hancock who owns Trinity Hill. The Tempranillo was fermented in stainless steel and then aged in a mixture of tank and French and American oak barrels for a short time. Again this youthful wine had a bright and vivid purple colour. The nose was earthy and a bit spicy with juicy plum aromas and the sweeter note of dried currants. The palate was sumptuously fruity with lots of black fruit, a touch of red fruit and a sort of sweet and sour thing going on with a touch of drying tannins. This is totally unlike the Rioja style of Tempranillo, being more fruity and less savoury in style. It might not reach the same heights of excellence as Trinity Hill’s Syrah, but is is a lovely wine with vivid, ripe, chunky fruit – 87/100 points. Available in the UK for around £18 per bottle from The New Zealand Cellar and The New Zealand House of Wine. Staete Landt was the brainchild of a charming Dutch couple called Ruud and Dorien Maasdam. In Marlborough’s early wine days they bought an old apple orchard and turned it into one of the most respected wine estates in the country. The estate name is a reference to Dutch explorer Abel Tasman who discovered what we now call New Zealand in 1642 and named it ‘Staete Landt’, land for the Dutch state. I like them and I love their wines. They and their wines always have something to interesting to say. In the early days, late 1970s and early 1980s, plenty of people planted Cabernet and Merlot in Marlborough and then discovered that they just cannot ripen properly, so apart from Pinot Noir and the odd maverick, you come across very few black grapes in Marlborough. So, finding someone brave enough to make premium Syrah in the cool conditions of Marlborough is a real thrill. Just as with the Sauvignon Gris above, the estate is in the ‘Golden Mile’ strip of stony ground close to the Wairau River land in the Marlborough sub-region of Rapaura. Ruud has conducted in-depth soil analysis on his vineyard and identified 24 different blocks which are treated as individual vineyards in effect. Since 2005 Syrah has been planted on two of them, but the 2010 comes just from the Arie block. The grapes were hand-picked and de-stemmed. They had a pre-ferment cold soak for seven days and a long post fermentation maceration as well. These techniques help colour and flavour extraction while not extracting tannin. The wine spent 20 months in French oak barrels, 40% of which were new. The maturity and class of this wine really showed. The nose was smoky, spicy and earthy with rich cherry, blackberry (some dried, some fresh fruit) and some dark chocolate. The palate was svelte with fine, sweet tannins, some leather and herbs as well as black fruit and some mushroom and truffle from age. It had lovely freshness running all the way through it and was very stylish and fine with a long finish – 92/100 points. The 2011 is available in the UK for around £22 per bottle from Hedonism Wines. 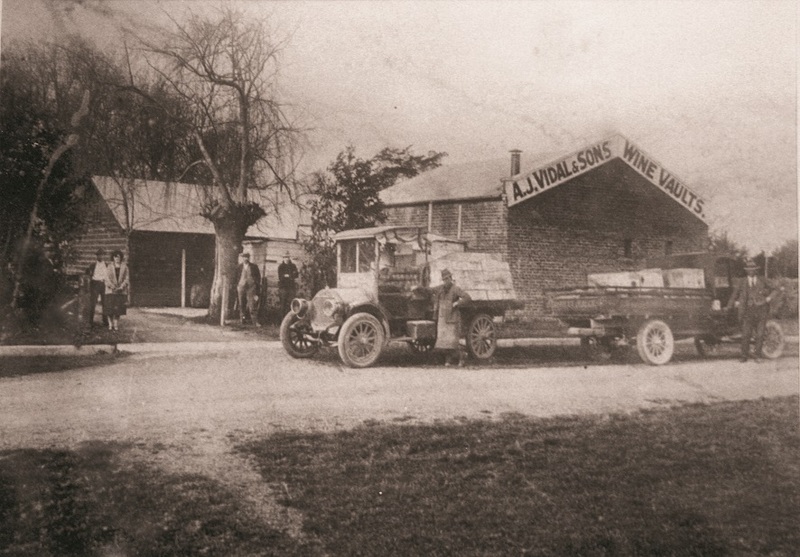 Vidal Estate in the 1920s – photo courtesy of Vidal Estate. I have always been fascinated by the Vidal Esate for as long as I have known about it. Founded in 1905 it is the oldest NZ winery that was just a winery and not a mixed farm as well. Spaniard José Sole, had been making wine in New Zealand since 1865 and had anglicised his name to Joseph Soler. His nephew, Anthony Vidal, arrived in New Zealand from Spain in 1888 to help his uncle at his winery in Wanganui on the West coast of North island. Eventually Vidal wanted to set up his own winery and he bought an old stables and half a hectare of land near Hastings in the southern part of Hawke’s Bay, which was warmer and drier that Wanganui and boasted well drained stony soils. Today Vidal is part of the Villa Maria group and one of their best vineyards in Hawke’s Bay is named in honour of Joseph Soler. I am always in awe of them when I think what drive and what determination the pair of them must have had to go all that way around the world in sailing ships to an isolated place with a tiny population and an uncertain future. This wine was a rigorous selection from a single block of the Soler vineyard, which had only been planted in 1993, so was very young. 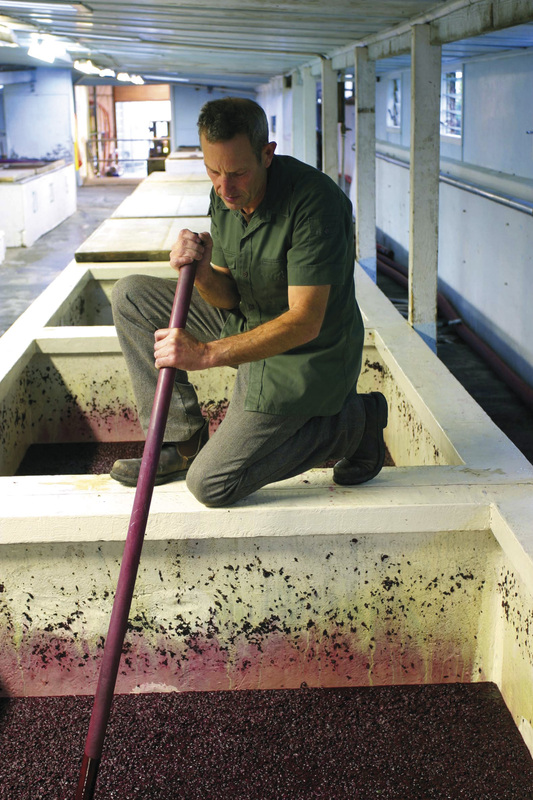 The grapes were hand-picked and fermented in open vats with hand plunging four times a day to extract colour and flavour. It was pressed after two weeks post ferment maceration and then aged for 21 months in a mixture of French and American oak barrels. 1998 was a great vintage in Hawke’s Bay and perhaps the first to serve notice that this is a great red wine region. The colour was quite gamey and brown, like Brown Windsor Soup, and a great deal of tannin had adhered to the inside of the bottle. The nose was vivacious and alive with currants, leather, cocoa, gamey / meaty, espresso and mint notes. The palate was very smooth with those currants again, dried blackcurrants, a savoury, meaty character, rich coffee, figs, fine milk chocolate and the merest touch of ripe, fine grain tannins. It had great complexity and concentration and was still vibrant and delicious with a wonderful decayed sweetness like rich dried fruit. I loved the wine and would like to try it with an old fashioned saddle of mutton or steak and kidney pudding, luckily I still have another bottle – 94/100 points. This is no longer available anywhere that I am aware of, unless you want to offer me a lot of money for my last remaining bottle! It was an excellent tasting, even though I say so myself, and gave a little snapshot of some of the new styles and interesting things coming out of this dynamic wine producing country – and not a Sauvignon Blanc in sight. So the next time you drink something from New Zealand, try a different grape variety or style. I think you’ll enjoy it. Esk Valley Estate The Terraces vineyard. Photo courtesy of the winery. I don’t really hold with the view that rosé is only nice in Summer. Some rosés really do lend themselves to being drunk with more wintery food, but even I enjoy drinking most rosés in better weather, preferably on a sun-drenched terrace – it seems to encapsulate the feeling of Summer. Ever since the weather became a little warmer and the sun a bit brighter I have been trying a good few rosé wines and I have tasted some really superb examples – like this Australian one here. They have come from all over the place too, South Africa, Chile, Argentina, Italy, Australia, Bordeaux, the Loire, Burgundy and of course Champagne, but one of my recent favourites has been this deliciously full-flavoured rosé from New Zealand. I liked it so much that I have made it my Wine of the Week. Esk Valley is a stand alone part of the Villa Maria group of wineries that is a specialist boutique winery making some of New Zealand’s finest red wines – although their whites are pretty good too. The guiding light here is winemaker Gordon Russell, who is widely recognised as one of New Zealand’s finest. Londoners have a rare opportunity to taste his wines and to hear what he has to say at a tutored tasting on 25 September 2015 – click here for details. Gordon Russell at Esk. Photo courtesy of the winery. This rosé is a blend of 34% Merlot, 33% Malbec and 33% Cabernet Sauvignon grown in New Zealand’s most important red wine region, Hawke’s Bay. The colour comes from skin contact – as is traditional, but becoming more rare in New Zealand – which gives a little touch of tannin too, which nicely balances the fresh acidity. The colour is gorgeous with a deep cherry / salmon hue with touches of orange too. The nose is lifted and vibrant with cherry, redcurrant and blood orange. The palate has fresh red fruit and acidity – strawberry and cherry – a twist of orange and a nice dusting of spices. This is an unusually rich and complex rosé with a creamy ripe texture and some lovely weight that lifts it above many of its peers. The weight makes it excellent with lamb, but the freshness makes it equally enjoyable with chicken or fish, while the fruitiness makes it delicious to drink on its own as an aperitif – 90/100 points. Available in the UK for around £10.00 per bottle from Woodwinters Wines & Whiskies Ltd, The New Zealand House of Wine, Amps Fine Wines, Central Vintners, Kingsgate Wines and Islington Wine. I love Chile, it is a very beautiful country, full of wonderful things to see Everything is dramatic and exciting, especially the mountains, lakes, desserts, glaciers and volcanoes, as being the most fantastic place to observe the night sky. Do visit if you get the chance, but if that is something that you have to put off for now, then you can always treat your self to a bottle of exciting wine from Chile. 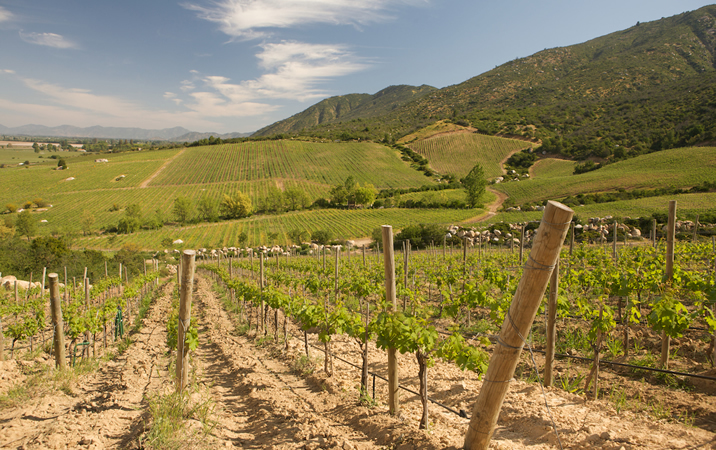 Colchagua Valley vineyards – photo courtesy of Wines of Chile. Chilean wine gets better all the time, more styles and more variety seems to be available with every passing year, so if Chilean wine has passed you by recently, it might be a good idea to give them another look. 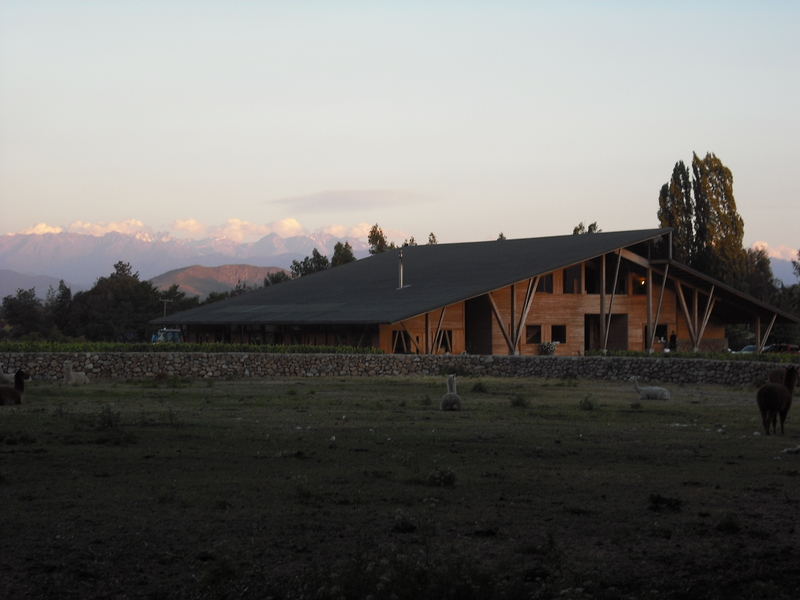 Not so long ago Chile was regarded above all as a safe place to buy a reliable bottle of wine from, now most people know that Chile can produce wines of world class standard that can compare to anybody else’s. I was leading a tasting on Chilean wines the other day and I showed this wine that is so delicious and so wonderful and so different that I just had to make it my Wine of the Week. Coyam, the animals help to create biodiversity and balance in the vineyard – photo courtesy of Wines of Chile. Map of Chile – click for a larger view – non watermarked PDF versions are available by agreement. Coyam is the brainchild of superstar Chilean winemaker Alvaro Espinoza who is the head winemaker at Viñedos Organicos Emiliana. Almost all Emilian’s vineyards are farmed organically, with the rest in transition, but the Los Robles estate is biodynamic too – Robles means oak in Spanish, while Coyam means oak in the native language. The wine is a blend, which changes every year as it reflects the vineyard, this vintage is 38% Syrah, 31% Carmenère, 19% Merlot, 10% Cabernet Sauvignon, 1% Mourvèdre and 1% Malbec. The grapes are harvested by hand and go through a triple selection process to ensure only the best grapes get into Coyam. Only native yeast is used for the fermentation and the wine is aged 13 months in oak barrels, 80% French and 20% American, it is only very lightly filtered. Everything is done to make sure you get the whole wine and it shows as Coyam is a wonderfully expressive wine. The grape varieties used are a mixture of extremely fruity ones and seductively spicy ones and that is how the finished wine seems too. The colour is opaque purpley black, while the nose is vibrant and full of blackberry, rich plum, black cherry, herbs, soft spices – pepper and liquorice – vanilla, smoke, cedar wood and a touch of prune. All these aromas and more follow onto the palate, giving a barbecued meat and mushroom character, together with vivid black fruit and even some red, together with tobacco, mocha, caramel (from the oak), wild herbs and peppery spice. This is mouth filling and full-bodied, with beautifully integrated oak, loads of flavour and concentration. I love this wine and think that anyone whole likes big reds will too, however it is elegant and refined too. It isn’t just a monster and the tannins are supple and round – 91/100 points. This is a big wine that could well repay some cellaring, as the tannins will soften – although they are quite approachable already – and the the fruit will fade allowing the complexity to develop, so there is no hurry to drink it, but it is delicious now. Try this with hearty stews, pies, roasts and strong, hard cheeses. Available in the UK for around £18 a bottle from Tanners, Slurp, D & D Wine and Virgin Wines, while the 2010 vintage is available from The Wine Society. Further stockist information is available here. US stockist information is available here. 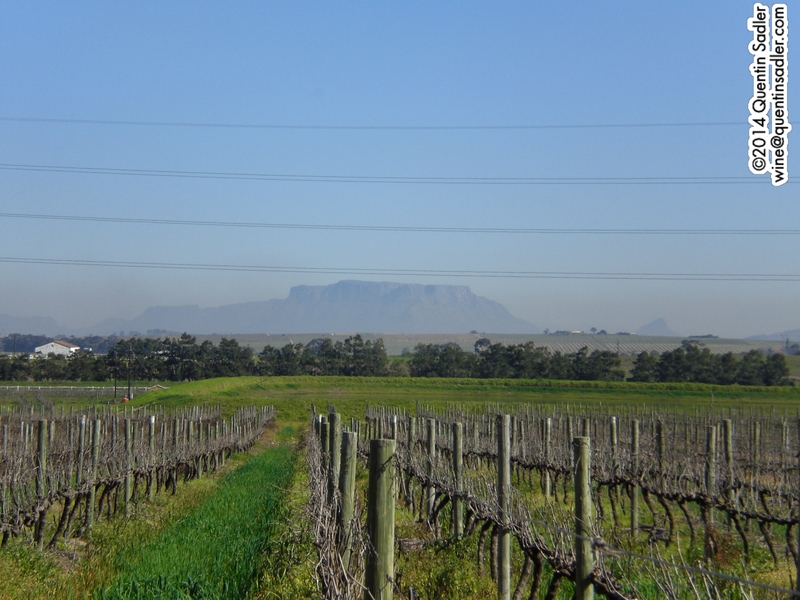 Stellenbosch vineyard with Table Mountain in the distance. Cabernet Franc is a grape whose charms have seduced me more and more over the years. When I was younger I usually found it green, hard and dusty, but growers seem to really know how to manage this tricky grape nowadays to produce wines that are smooth, rich and ripe. Of course Cabernet Franc originates in France’s Loire Valley region where it makes the lovely red wines of Saumur, Saumur-Champigny, Chinon, Anjou Rouge, Bourgueil and Saint-Nicolas-de-Bourgueil, but it is increasingly grown all around the world and superb examples are starting to emerge from many new world countries, notably this lovely wine from Valdivieso in Chile, or this one from Lagarde in Argentina. It is also one of the parents of the more widely seen Cabernet Sauvignon grape, the other parent being Sauvignon Blanc. Well the other day I presented a tasting of wines to Verulam Wine Tasting Club, which is a wine society in St Albans that I love visiting. The theme was wines that I had found on my travels that would be great for Christmas. I showed them all sorts of delights, most of which I will write about soon, but 2 of the red wines seem to have gone down especially well – as did the sparkling, the 3 amazing white wines and the sumptuous sweet wine too. One of the reds was the Domaine Lupier El Terroir, which was my second Wine of the Week all those months ago. The other wine was KWV The Mentors Cabernet Franc. This is a wine that means quite a lot to me. I first tasted it – the 2010 vintage anyway – in South Africa while judging in the Michelangelo International Wine Awards. Obviously we tasted it blind, but it totally thrilled the whole panel and we gave it a Grand Gold Medal and because I loved it so much I took note of the sample number so that I could find out what the wine was once the results had been released. And blow me down if it didn’t turn out to be a Cabernet Franc from KWV. 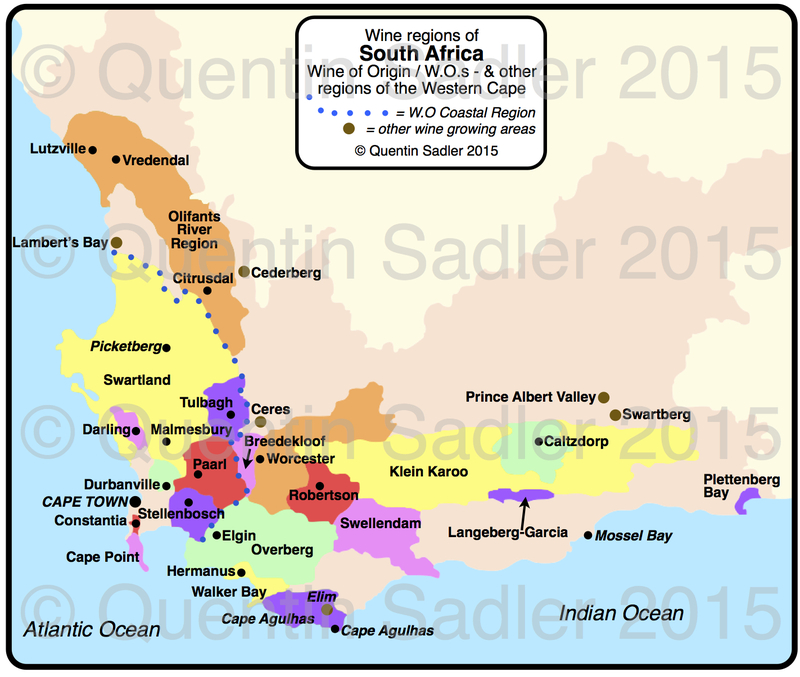 The KWV is very famous in the context of South African wine. It was a cooperative created by the government in 1918 to regulate the production of South African wine and many UK wine drinkers remembers their Roodeberg and Pinotages from the late 1970s with affection. In addition to table wines they have always produced excellent brandy and delicious fortified wines – this superb KWV Tawny from Marks & Spencer is well worth trying. In truth after democracy came to South Africa, KWV lost its way somewhat and the wines were a shadow of their former selves for quite a while. So, this tasting was my first inkling that things had begun to turn around. 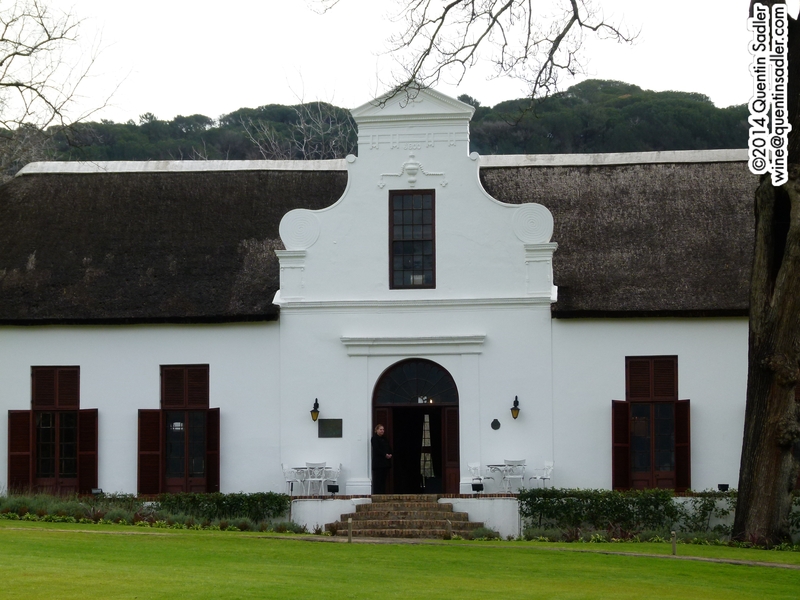 The second chance I had to see how KWV had changed was when I enjoyed a memorable tasting and dinner there hosted by Richard Rowe, their head wine maker, at the Laborie Wine Farm in Paarl. It was a great experience with superb food – including my first taste of Bunny Chow – and a wonderful setting, but it was the wines that thrilled me the most. We tasted a wide range of their new Mentors range which was created from 2006 onwards with its own purpose built cellar and winery to create small production wines from parcels of outstanding fruit. As a consequence the Mentors range comes from different appellations and locations and the range varies from year to year, for instance there was no Cabernet Franc in 2011, all of which helps to make it really interesting. The KWV Mentors range includes one of my favourite Pinotages, excellent Shiraz, superb Grenache Blanc and a first rate Petit Verdot, as well as a couple of fascinating blends; The Orchestra is a classic Bordeaux-style blend of Cabernet Sauvignon, Merlot, Petit Verdot, Cabernet Franc and Malbec blend, while the Canvas is a more unusual blend of Shiraz, Tempranillo, Mourvèdre and Grenache Noir. It was the KWV Mentors Cabernet Franc that first wowed me though and it was what I showed at the tasting and so I have made it my new Wine of the Week. 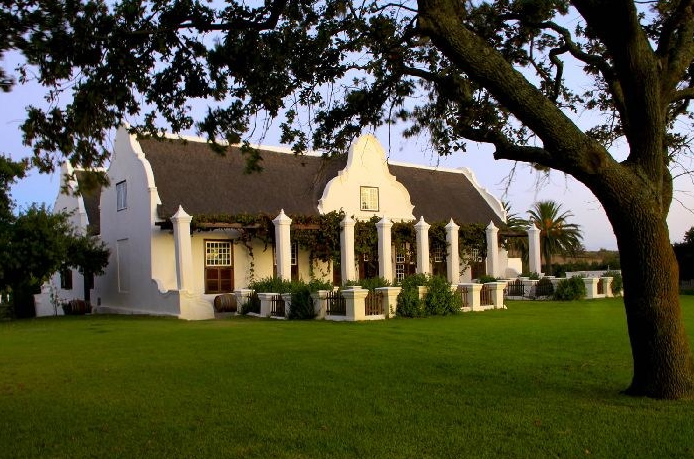 KWV’s Laborie Wine Farm in Paarl. The 2012 comes from Stellenbosch, whereas the 2010 was from W.O. Coastal Region and certainly the difference shows, as there is much more fruit intensity here. The wine is all about fruit selection, choosing the best parcels and blocks in their best vineyards, fruit that shows optimum ripeness and expression. After the initial selection, there is a further hand selection in the winery to ensure only perfect grapes get in. The wine was fermented in stainless steel tanks with regular pump overs to extract colour, flavour and tannins from the skins. Malolactic took place in barrel before 18 months ageing in French oak barrels, of which 70% were new. The colour is intense, opaque, vivid and youthful – it looks like a blackcurrant coulis. The nose is aromatic, earthy and vibrantly fruity with raspberry, cherry, truffles, cedar and cinnamon. The palate is lusciously textured with creamy ripe fruit, coffee and cocoa. There are firm, fine grippy tannins balanced by the wonderfully rich fruit and a nice refreshing cut of acidity. This is deeply impressive, rich, intensely concentrated and quite delicious. If you prefer less tannin or less obvious fruit then age it for a few years, as the oak is certainly dominating to some degree at the moment, but it works really well and the fruit is big enough to just about hold its own. Age it for 4-5 years, or open it early and serve with something hearty like a casserole or rib of beef – 93/100 points. Available in the UK for around £15.49 a bottle from SAWines online, Foods 4U, and Edgmond Wines. This wine is tremendously good and deserves a wider audience, so do try it if you get the chance. It would certainly impress your guests over the festive season and grace any dinner party perfectly. It really would be superb with a casserole or a pie, shepherd’s pie – anything meaty really and it goes superbly with hard cheeses too.